Here I am yesterday, all covered in grass. Many thanks to my brother for taking this photo. I spent the better part of yesterday afternoon cutting down tall grass and weeds in our back yard with a large weed eater we rented from a local shop. I kept unearthing new and interesting things in the yard: a section of a 2x4", a shingle, pieces of brick, a 4' metal post anchored in the ground and bent sideways. Working on the yard has been meditative for me in a way I truly didn't expect. I feel like we're slowly reclaiming this property after years of misuse and abuse, dedicating it to a new phase of its history. 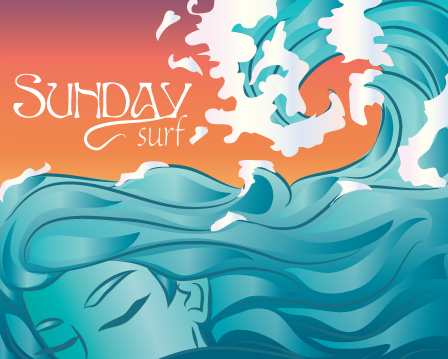 It feels so good that I'm planning on doing it again all day today! Another thing I did yesterday was to publish this giveaway of two copies of my friend Lauren's poetry book, Poetry of a Hobo Mama. As national poetry month comes to a close and as Mothers' Day draws near, it's a perfect time to add Lauren's book to your library. 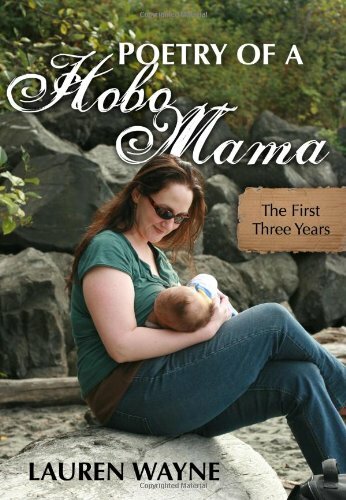 Poetry of a Hobo Mama would make a lovely addition to your poetry collection or a wonderful gift for a special mother in your life. I hope you'll take time to read how much Lauren's writing has touched my life, then enter to win one of her books! While I think I'm pretty good at it, and I've made a great effort to follow my instincts since Daniel was born, I wish I had trusted myself more when it came to the issue of him eating solid food and gaining weight. This post from Emma at Moms Alive tells her story about introducing foods to her daughter, reminding us to trust ourselves. I really liked this post on how it's perfectly OK to (make sure your baby's basic needs are met and then) put him down while he's screaming and take a break for yourself. Part of my comment on her post: It is very important to know that we must take care of ourselves to be able to care for our children. Sometimes part of adequate self-care is taking a moment away from our precious, screaming baby to regroup and calm our own nervous systems so that we can help them more effectively when we return. I had to do this many times when my son (diagnosed early on by our ped as "colicky") screamed all. day. long. Turns out he has sensory processing issues, and the screaming did not stop after 3-4 months, it only got more intense (eventually up to 7 hours during the day before we found an OT to assess him). I wish our pediatrician had considered sensory as a possible cause before telling me it was my fault for stressing out my child and that I should hire a nanny. This is a great article from Doula David on ingesting placenta in the postpartum period. I had Daniel's placenta encapsulated, and I'd definitely do it again with any future pregnancies. (In fact, I might have to get in on this truffle idea—sounds delicious!) Before passing judgment, consider that humans are the only mammals who don't routinely ingest their placentas after giving birth. Maybe the animal world knows something we don't? I have a huge problem with the proponents of using corporal punishment in children who use the Bible to back up their claims of the "right" way to raise children. I had a hard time reading this article because it makes me so sad to know that so many children are being spanked because their parents subscribe to the writings of these "experts." It's important to know the research (plenty of which is highlighted in this article) about spanking before deciding (or defaulting) to use it. Interesting post about three things we shouldn't be doing to newborns: hatting, chatting, and patting! A fact-filled post from Gretchen about why she and her husband have decided to keep their unborn son intact. I appreciate that there's been more and more conversation about this sensitive topic lately. The more informed we all are when making decisions, the better! What have you read lately that I just can't miss? I'd love to know!